This past weekend I had the opportunity to travel to Gibraltar and Morocco with several of my friends from CIEE. Since these locations are slightly difficult to travel to, we went through a travel company called “We Love Spain.” I’d highly recommend booking a trip through them if you’re studying in Seville! The first stop on our weekend adventure was to the English territory of Gibraltar. Located at the southernmost point of the Iberian Peninsula, Gibraltar was conquered by the British in the War of Spanish Succession during the early eighteenth century. Since then, Gibraltar has served as a key base for the British Royal Navy. Later during WWII, Dwight D. Eisenhower coordinated and executed Operation Torch or the invasion of French North Africa from Gibraltar. It was incredible to see all the monuments to the Allied Forces around the territory. While in Gibraltar, we took small vans up to the top of the Rock of Gibraltar. First we went on a quick tour of Saint Michael’s Cave. 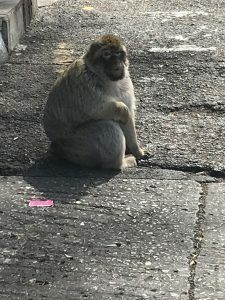 Afterwards, we were able to see the infamous Barbary Macaques. The Macaques of Gibraltar are the only indigenous population of wild monkeys within continental Europe. 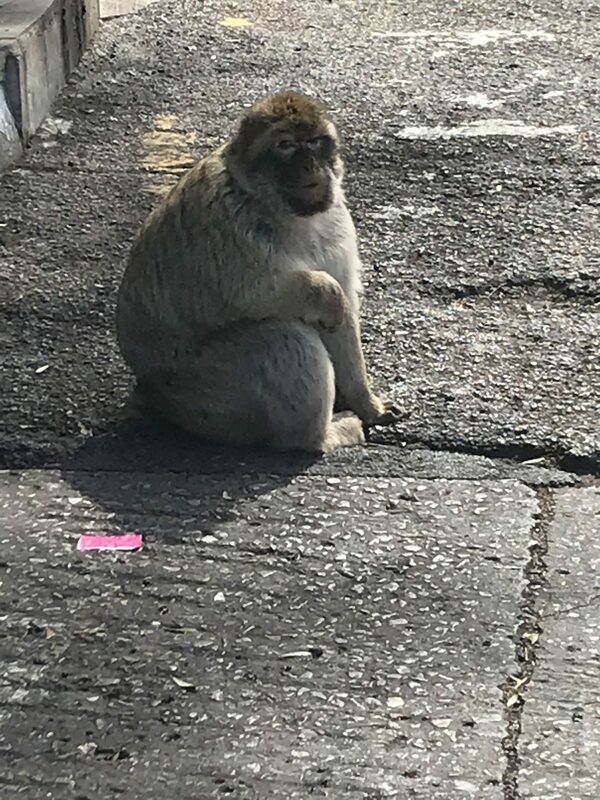 Legend says that if the Barbary Macaques ever leave Gibraltar, then so will the British. We spent about a half hour chilling out with the monkeys. 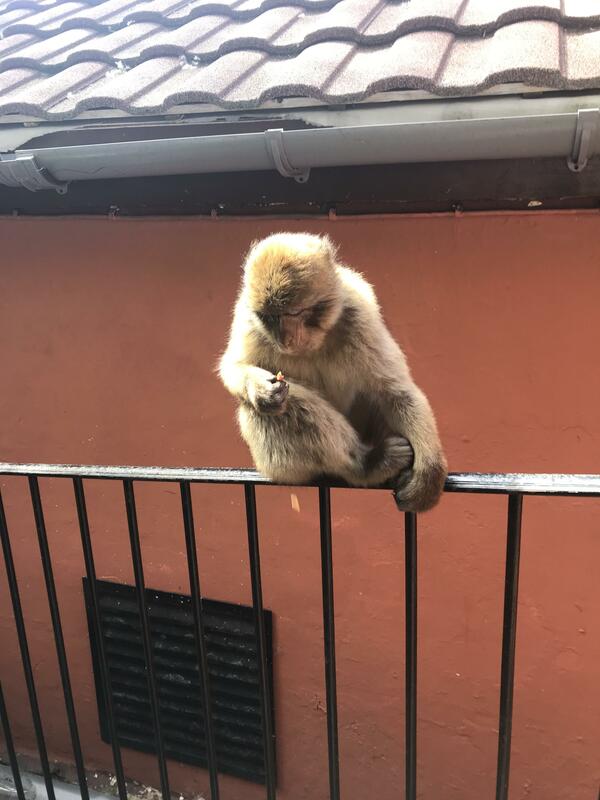 Just be sure to put away your sunglasses and any food if you ever visit the macaques; they are accustomed to life around humans and are the quickest thieves around! 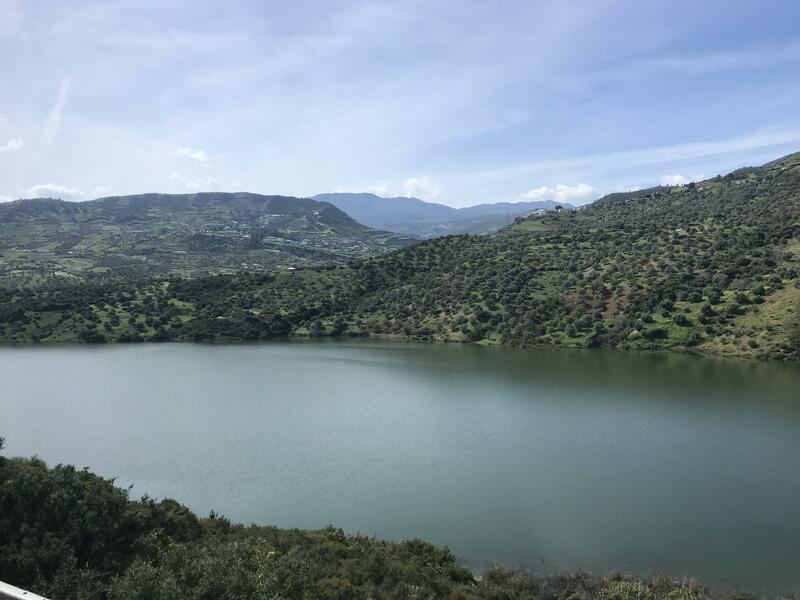 The next leg of our weekend journey was to Tetuán, Morocco. 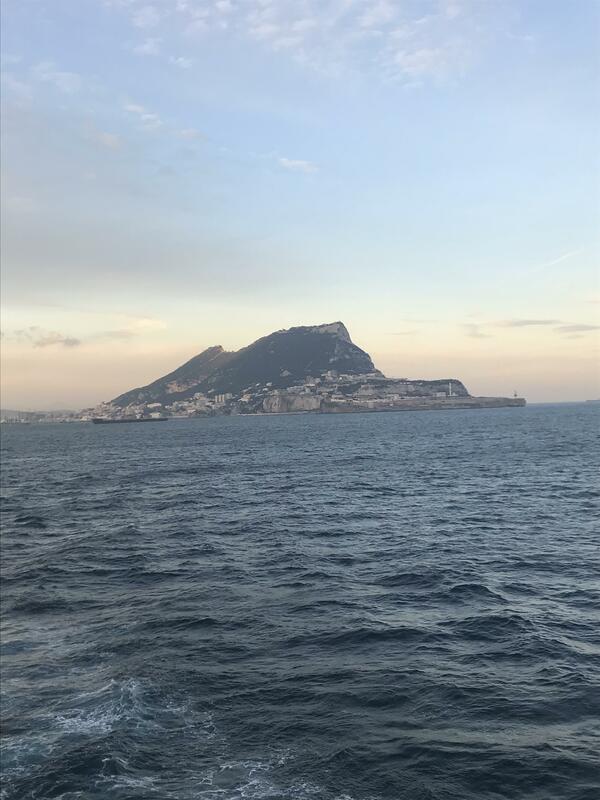 In order to get to Morocco, we had to take a ferry across the Strait of Gibraltar from Algeciras to the Spanish city of Ceuta. 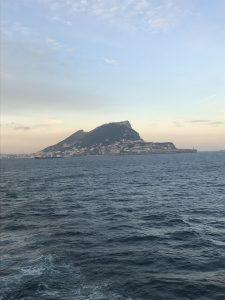 The Strait of Gibraltar is a waterway that connects the Atlantic Ocean to the Mediterranean. Consequently, the water tends to be very choppy here, so I’d recommend buying some dramamine before your voyage. The ferry ride was only an hour, but afterwards we had to go through customs. This took roughly 3 hours since it was a holiday weekend, but thankfully good friends make the time pass quickly! The next morning we were on the bus by 8:30am to visit Tangier! In Tangier we went to a beach along the Atlantic coast where we had the chance to ride camels. After our camel caravan, we were able to go visit the baby camels at the opposite end of the beach. Although this experience was super touristy, I highly enjoyed every minute of it. 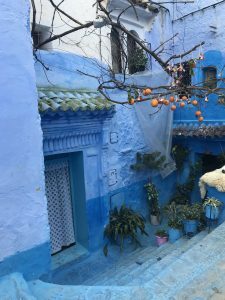 In the afternoon, we drove to Chefchaouen or the infamous blue city located in the Rif Mountains. According to the locals, painting all the buildings blue helps drive all the mosquitoes away. While in Chefchaouen, we visited a local fabric store and saw a demonstration of how create tapestries and rugs are created. I was astounded by the artistry that went into each piece. Later we were set free and allowed to shop around the market. In Morocco, none of the prices are fixed. This means you get to put your bartering skills to the test. Luckily most shop owners spoke either Spanish or English, so haggling was never too difficult. While leaving Chefchaouen at sunset, we were able to hear the Islamic call to prayer coming from the minaret of the local mosque. It was incredibly stunning to hear the song reverberating off the mountains as many locals attended to prayer. Our tour guide, a practicing Muslim, also taught us about the five pillars of Islam: faith, prayer, charity, fasting, and pilgrimage to Mecca. Growing up in a primarily Christian nation, I loved being able to learn more about a beautiful religion that is so often overlooked and negatively portrayed by the American press. 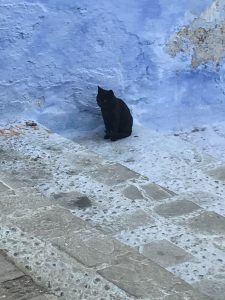 On our last day in Morocco, we toured the city of Tetuán. 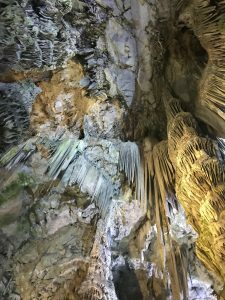 Frankly, I was sick on Sunday morning and was unable to hear much of what the tour guide was saying. However, we did see the Royal Palace and walked through the Medina, which was basically a labyrinth of shops. The Medina provided us with another chance to use our bartering skills and enjoy a cup of Morocco’s infamous mint tea. The tea is a must try if you make the trip here. Later that afternoon, we embarked on our voyage back home. Although Spain and Morocco are only nine miles apart by sea, the two cultures are vastly different. I loved haggling, learning about the Islamic faith, and seeing the similarities between the Arabic architecture in both Andalucía and Morocco. 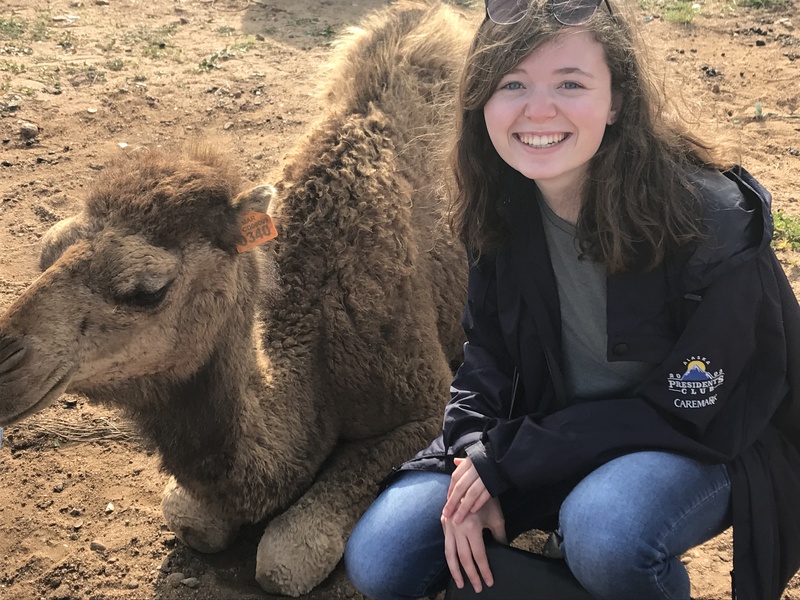 This trip has been my favorite so far, and I’m so thankful to have had the chance to learn more about Moroccan and Gibraltarian culture alike!